DSC06945, originally uploaded by dccrowley. 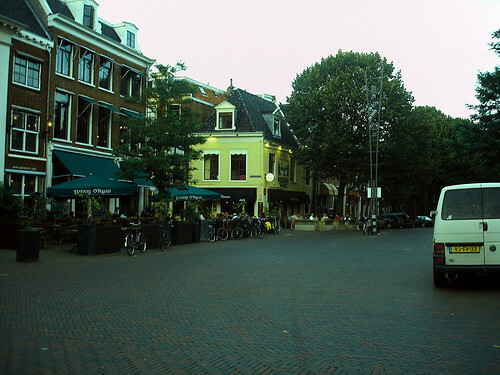 This is the irish pub Goveneurs Plein in Leeuwarden. The weather wasn't great... and this photo was taken the next day :) But I met lots of people including Sint Smeding, Tessa, Hidde de Vries, Stephen Hay, Robin Papa, Arjan Eising... Sure more could have turned up, but the weather spoilt it a bit. Still I really enjoyed it. And we are doing it again. Thursday evening 27 November 18:00h-20.00h I want to catch the atmosphere of the last real Saint Nick late night shopping. So yeah, night photography and atmosphere. After that I want to do a Photowalk in Harlingen, which is a gorgeous town... we'll need daylight for it though... that's later.